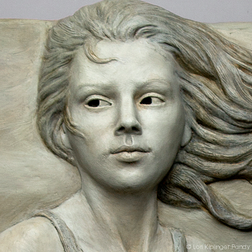 "Standing Her Ground" is the first in a series of bas reliefs featuring strong young women. Her penetrating gaze, slightly furrowed brow and hand on her hip let you know that she is not to be swayed. 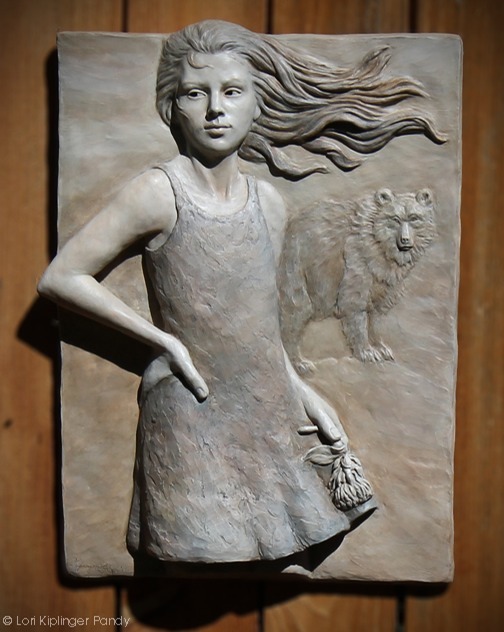 By averting her gaze to one side, I imbue this girl with a sense of being strong in her convictions but without the feeling that she is being defiant against the viewer. 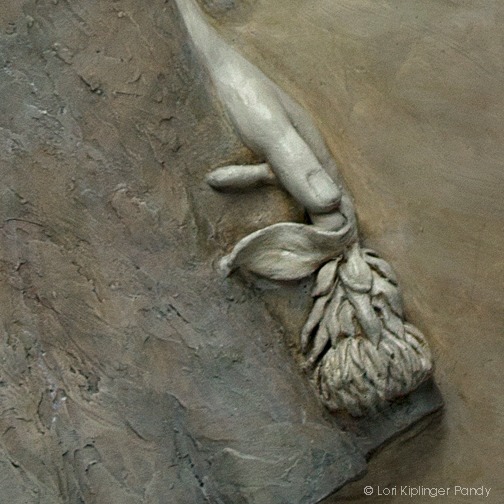 I think that is a strong distinction - giving the work a feeling of empowerment and strength. 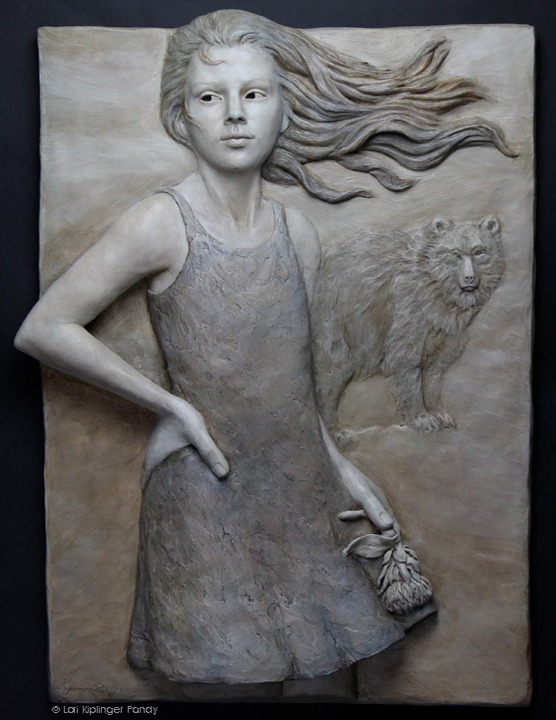 In this work of art the bear is a metaphor for this young girl taking a stand in her life and the thistle is a symbol of strength. 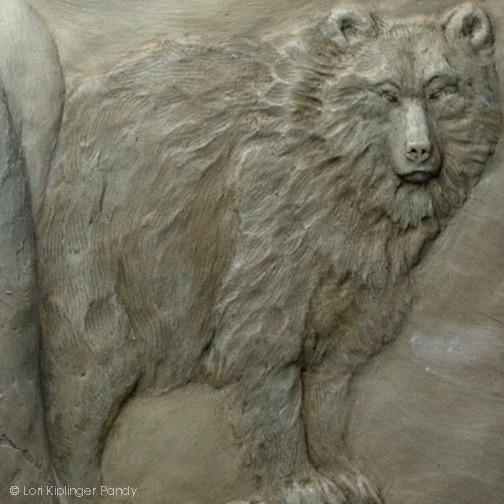 This high relief wall sculpture measures 24" x 18" x 2.5" with a weight of 8-10 lbs and is suitable for display inside or outdoors.